When was the last time youâ€™ve seen a truly innovative Filipino idea? That elusive water-powered car? Those fluorescent lights and karaoke machines supposedly invented by Filipinos? They certainly are out there â€“ somewhere. But no one can quite ascertain if they are mere urban legend or objective fact. What does prevail, as the symbol of â€œFilipino ingenuityâ€ is the jeepney. As bizarre as it sounds, the jeepney today continues to be a source of pride for Filipinos. The jeepney started out as a quick response to the lack of public transportation at the end of World War II. â€œIngeniousâ€ Filipinos at the time modified surplus United States Army jeeps into vehicles of mass transport. More than five decades later, the jeepney still dominates the public transportation infrastructure of the Philippines. And even if todayâ€™s models are no longer built on American-made chassis, the general look and design has survived. So have the quality and the level of engineering â€“ 50-year-old standards of quality and engineering are still built into todayâ€™s jeepneys. While what were once Korean and Japanese bicycle makers now produce some of the worldâ€™s best-built cars, Filipino jeepney makers continue to knock out two or three clunky vehicles from their job shops every few months. Some societies make up for their initial lack of technological and engineering prowess with the development of innovative business models â€“ new ways of producing and marketing indigenous technology, crafts and arts or resources that are unique or abundant in their respective settings. Food is a simple example. As Thai, Indian, Vietnamese, Malaysian, and Indonesian restaurants flourish all over the world, Filipino cuisine, otherwise equally exotic in taste and variety, languishes in obscurity. There are no business models for marketing it across cultures, no artistic or at least tasteful way of preparing and presenting it, and no wherewithal in the few restaurateurs of Filipino cuisine to expand beyond their ethnic Filipino clientele. At one extreme, the Japanese are known for weaving elaborate philosophies around food preparation and presentation. Filipinos, on the other extreme, have very little if any regard for food presentation. As long as their chow can be contained in big vats and shovelled into oneâ€™s maw as quickly as possible along with a fistful of rice, the Filipino gourmet is happy. Another is cinema. The Chinese, Japanese, and Indian movie industries have proven that one need not emulate Western styles of production to be commercially successful. What started out as the cheesy, campy, corny cinematic styles of Bollywood, the Chinese kung-fu movie genre, and Japanese anime, among others, have now become established extremely valuable parts of the cultural capital of their respective societies. World class movies like Crouching Tiger Hidden Dragon make use of cinematic devices unique to Chinese movies that were once an acquired taste for foreign audiences. The blockbuster hit The Matrix made extensive use of cinematic pace and camera angles attributable to Japanese anime. So â€œall thisâ€ is a â€œstory,â€ short and sweet, about â€œintellectual capital addedâ€ (brand value, design excellence, cool â€¦ in this instance). Thereâ€™s a special irony to this particular story: Why was I back in Singapore in March 2004? Answer: to speak at Singaporeâ€™s (first ever!) â€œglobal branding conference,â€ sponsored by the Singaporean government and ad giant/PSF Ogilvy & Mather. The point of that conference is the point of this paper: Singapore, as I observed earlier, needed to â€¦ Race Up The Value-Added Chain. And the answer, at least in part, is becoming â€¦ Brand Singapore, â€œCool Singapore,â€ or some such. Hence the conference. Senior Minister K.Y. Lee (former PM Lee), architect of Singaporeâ€™s awesome transformation, addressed our group, and acknowledged that Singapore had achieved its exalted status by becoming Southeast Asiaâ€™s hub of â€œoperational excellence.â€ Singapore does it right! (Or some such.) But he also acknowledged, the reason for his invitation and presence at the conference, that Singapore, now, had to be â€¦ and he almost cringed as he said it â€¦ â€œCOOL .â€ Thence â€œtheâ€ â€œBrand Singaporeâ€ conference. 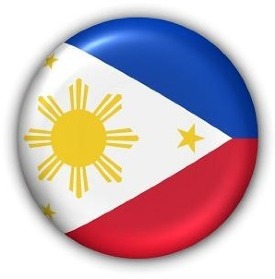 There is no Filipino brand and no â€œPhilippines Inc.â€ The Philippines has no brand equity to speak of. Our cuisine, as shown in the previous examples, is virtually unknown and unmarketable globally. Chinese, Thai, and Indian individuals, by sole virtue of their being Chinese, Thai, and Indian, can set up a restaurant in any corner of the world and can easily command an immediate following. The very words, “Chinese”, “Thai”, and “Indian” placed before the word “restaurant” by themselves already add value, just like Picasso (as the unverified story goes), carried around a pen and a doodle pad instead of a credit card or chequebook whenever he went out shopping. What Filipinos fail to realise is that regardless of whatever physical or natural resource a society may possess, it is still intellectual capital that creates value out of the mundane. All the oil underneath those desert kingdoms would be worthless today if someone had not come up with the idea of the internal combustion engine. It took the American multinational companies Dole and Del Monte to create the immense pineapple production industries that sustains much of the island of Mindanao today. Indeed, even the one resource that Philippine society is so efficient at producing â€“ warm bodies â€“ is being harvested and put to far more productive use by foreign societies, foreign organisations, and foreign processes and technology. Just like the vast oil reserves in those little desert kingdoms and all the rubber trees in Malaysia and Brazil, countless Filipino souls would continue to languish in low-added-value Third World standards of productivity if not for the opportunities afforded to them by foreign employers and the local operations of multinational companies. Close to 10% of the Philippine economy is accounted for by the remittances of its huge overseas-employed work force. And these vastly more productive Filipinos are amply rewarded for their contributions to other societiesâ€™ economies. The rewards they get are beyond the wildest dreams of most island Filipinos. All true of course. But these arguments miss the point. The opportunities for â€œFilipino labourâ€ to contribute to adding so much value to the world economy is provided by the commercial activity built by advanced societies. There is no value inherently added by the act of driving a nail into a piece of wood with a hammer. The value of this task is determined by the one who determines where and when the nail is to be driven. In the same way, the inherent industry of the average Filipino worker is useless where there is no environment or commercial activity to excel. Philippine society consistently fails to provide the environment where Filipinos can be all they can be and contribute to the full extent of their potential to contribute. The advanced societies where thousands of Filipinos migrate to every year are filling that gap. Previous Article Philippine-China conflict: How did we come to be so dependent on Chinese imports? I mean most cities in the country aren’t even orderly enough to be considered livable in today’s standards.